Have you considered a performance yacht with the strength of steel? 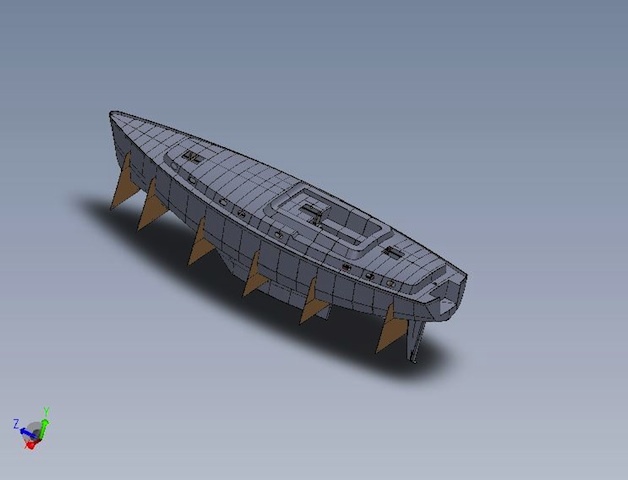 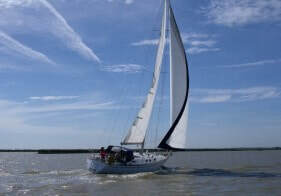 A boat that will last and be a basis for successful long passage making making a comfortable home to cruise the world? 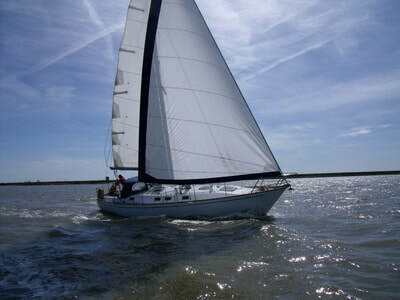 If so then our Renegade round bilge and Mistral chined sailing cruisers make that possible. 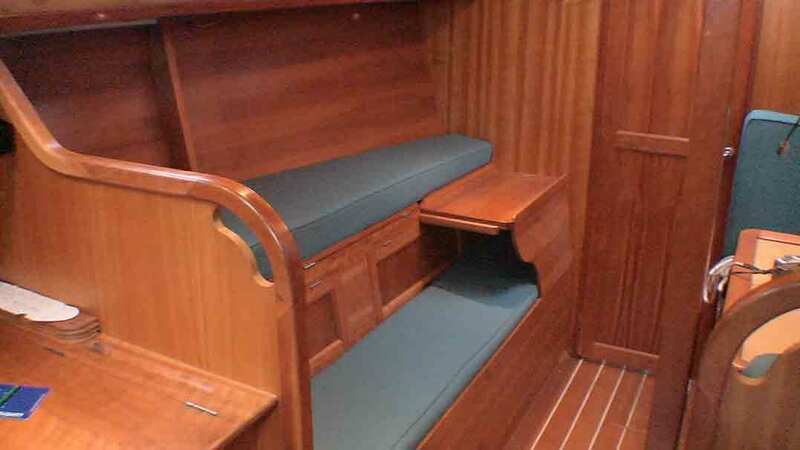 ​Both are designed by Tucker Designs and meet the needs of the discerning yachtsman and yachtswoman looking for quality and something that will outlast boats built in other materials. 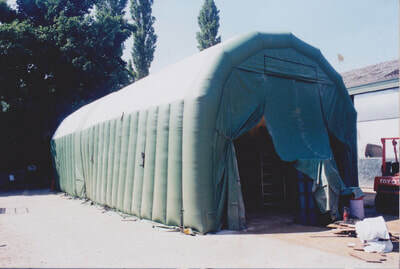 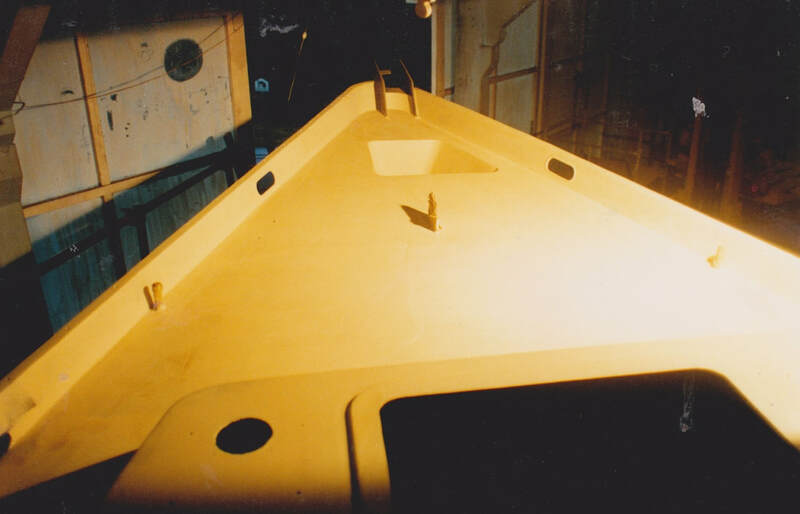 The use of modern production techniques, top quality steel plate and modern epoxy paint systems means that regular maintenance is minimal. 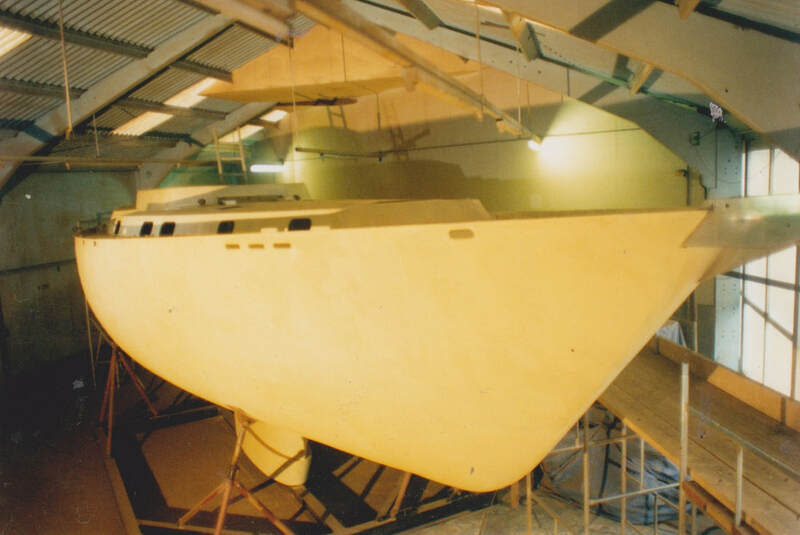 the strength to weight ratio of steel is only surpassed by aluminium and carbon fibre, making steel a superb choice for the construction of a serious cruising yacht. 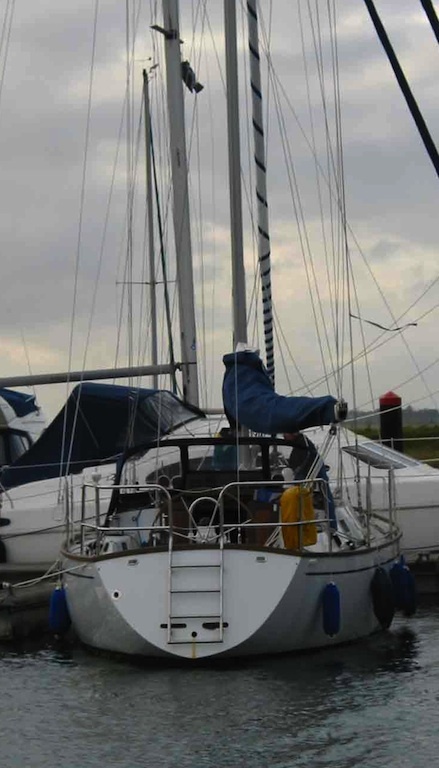 ​The versatility of steel construction means that, if required, the deck and cabin layout can be varied to suit individual requirements. 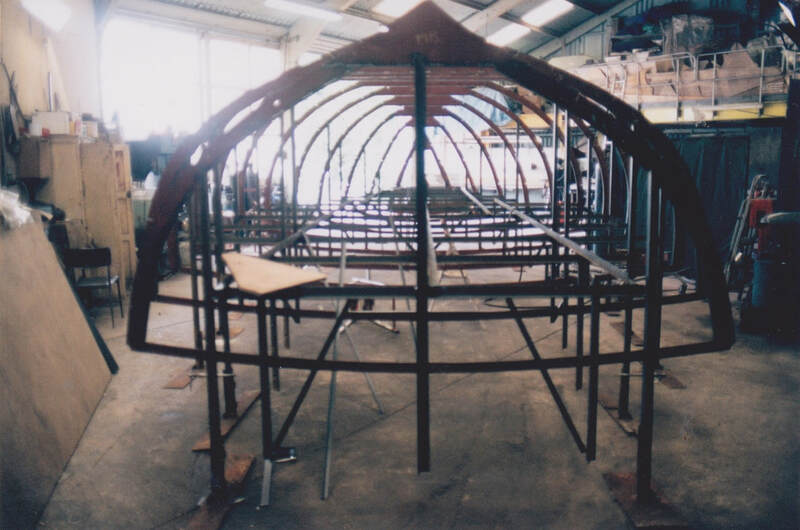 Another plus for steel construction. 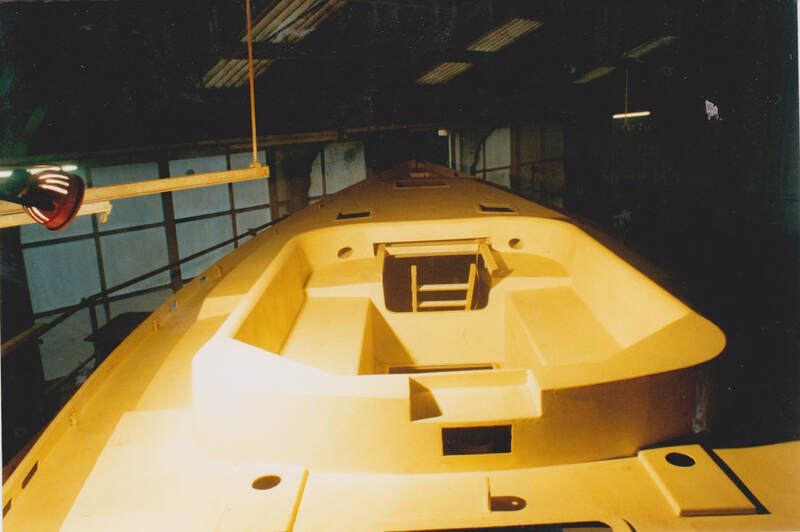 Peter Nicholls have been producing top quality boats in steel since 1973 and introduced their Tony Tucker designed Renegade in 1997 and the Mistral in 2012. 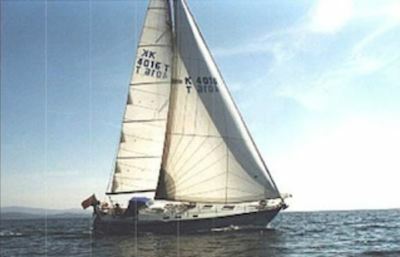 Both designs are equally happy sailing in European waters or further afield. 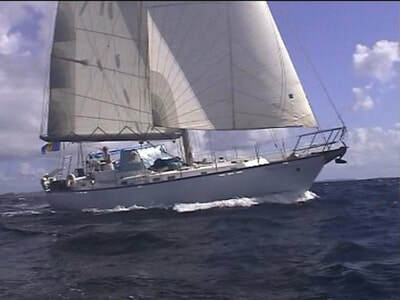 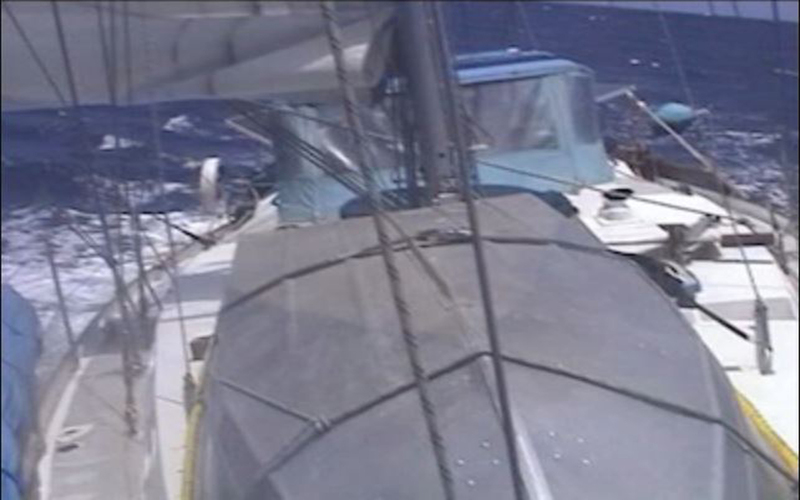 The first Renegade 43, White Princess, crossed the Atlantic to be based in the Bahamas, then was based in Fiji and sailed the Pacific Ocean for many years .She has now covered over 65,000 miles and circumnavigated twice. 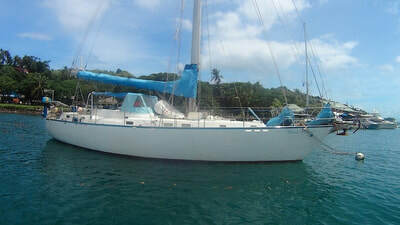 See White Princess anchored in Fiji here. 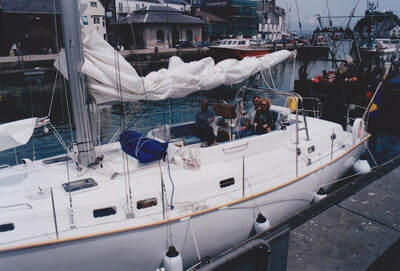 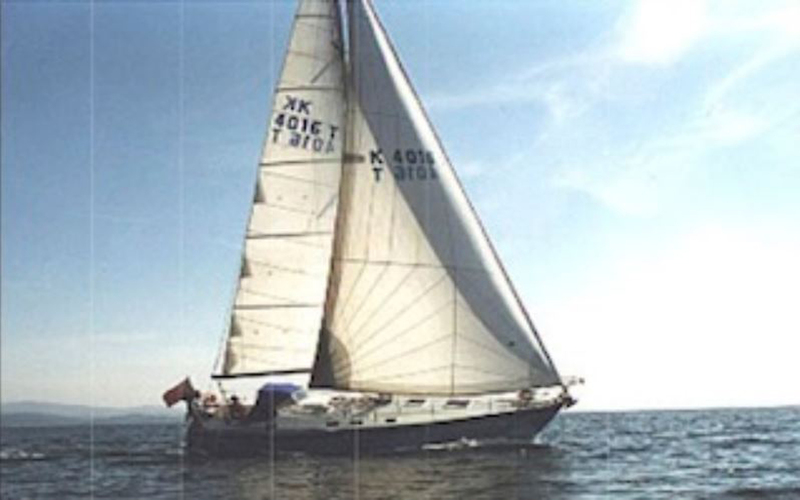 Equally happy was an early Renegade 37 owner who sailed his boat single handed on the West Coast of Scotland and the Irish sea for many years in his retirement. 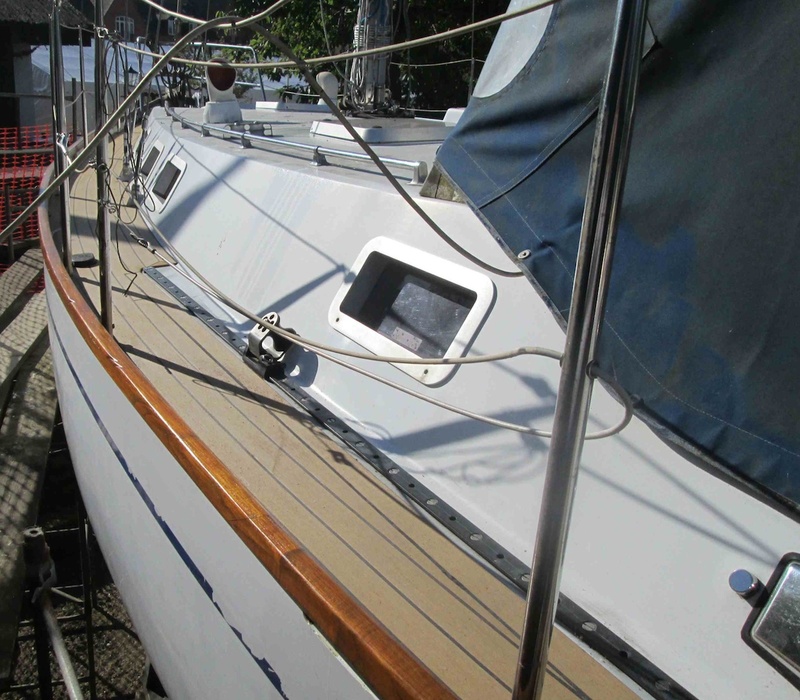 An earlier Renegade 53, built elsewhere as a one off project, has circumnavigated twice, covered over 50,000 sea miles in 20 years and at present is being refitted back at home in the UK. 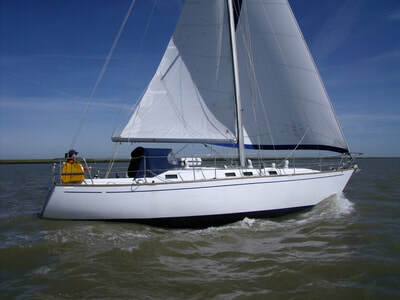 Both the Renegade and the Mistral are serious offshore sailing cruisers. 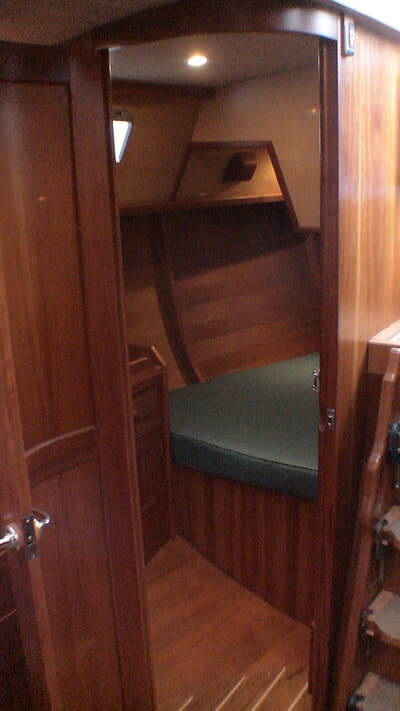 The tendency in many modern sailing cruisers is for a wide stern section to maximise room in the stern cabin. This has made many modern boats tend to slew off course and be hard to manage when challenged by a following sea. 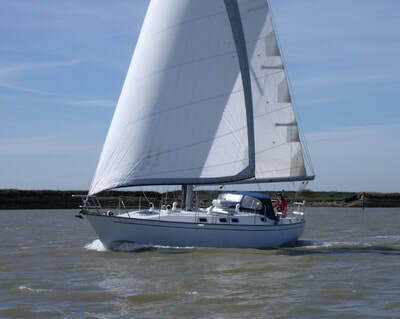 Not so with the Mistral and Renegade, with its transom pictured here. Easily handled the Mistral and Renegade are ideal to live aboard comfortably and in safety with all the advantages of steel boat construction. 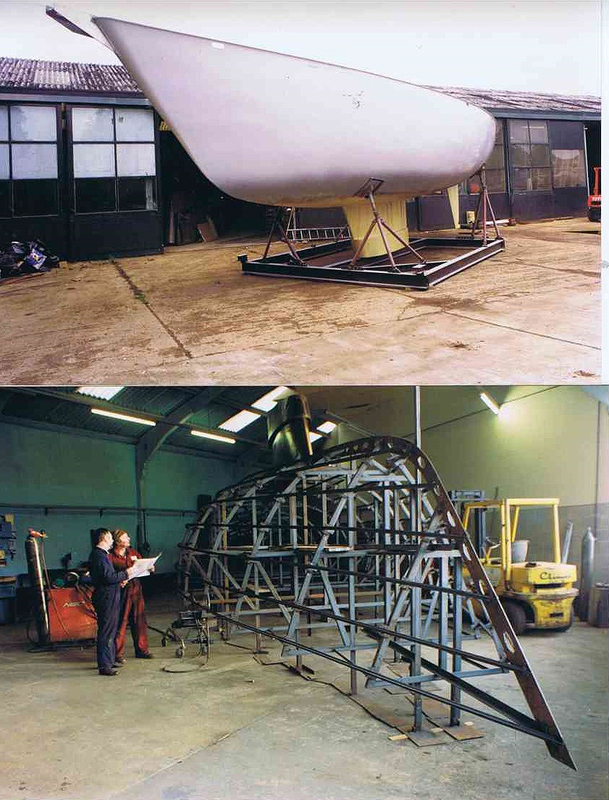 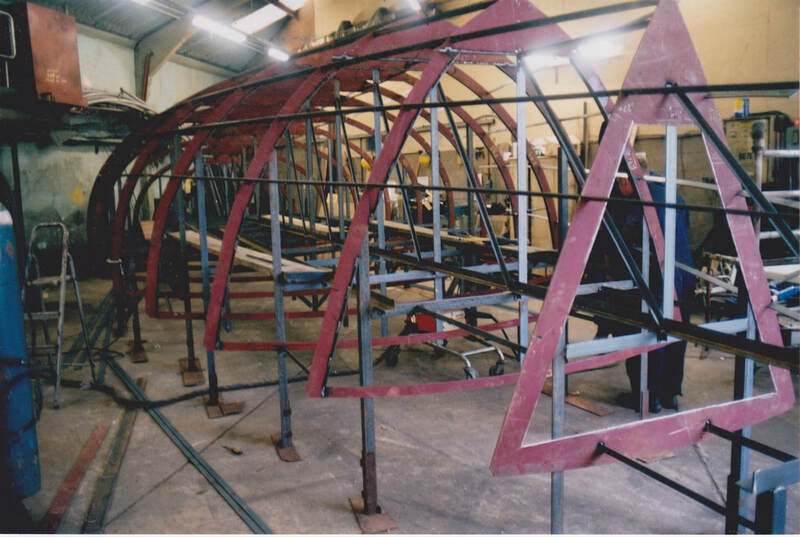 Steel yacht building is something of a speciality in itself and it is not often that keen yachtsmen are skilled steel boat fabricators. 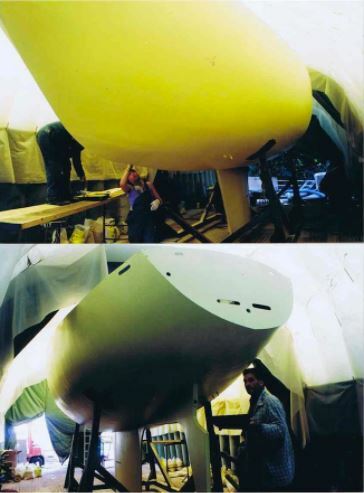 Thus the team at Peter Nicholls can appreciate the finer points and nuances of the design, and what the designer is seeking to achieve, while getting the basics of the construction absolutely right The second generation have a similar passion for sailing and their input with further develop the designs. 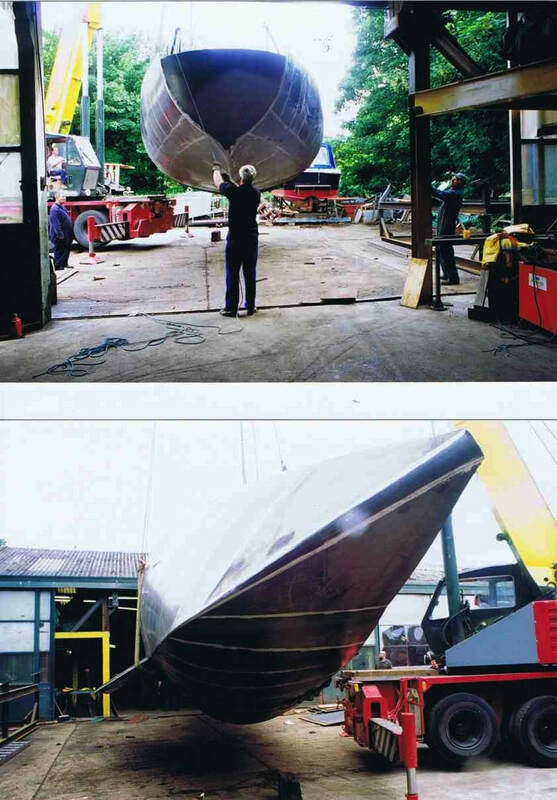 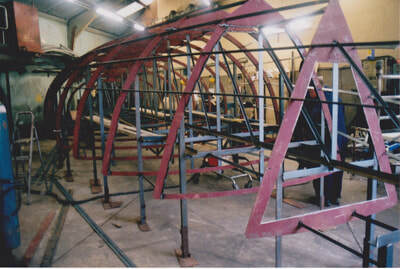 Tony Tucker is probably the most experienced steel boat designer in the UK. Many of Tony Tucker designs have circumnavigated. 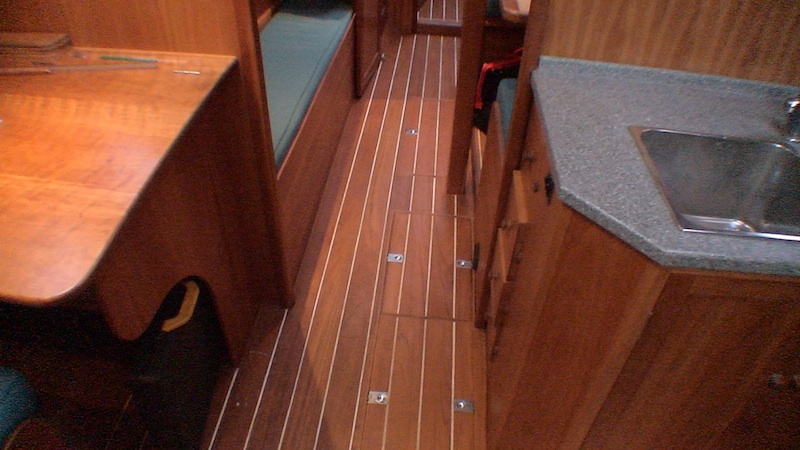 He brings a wealth of practical experience to any project. 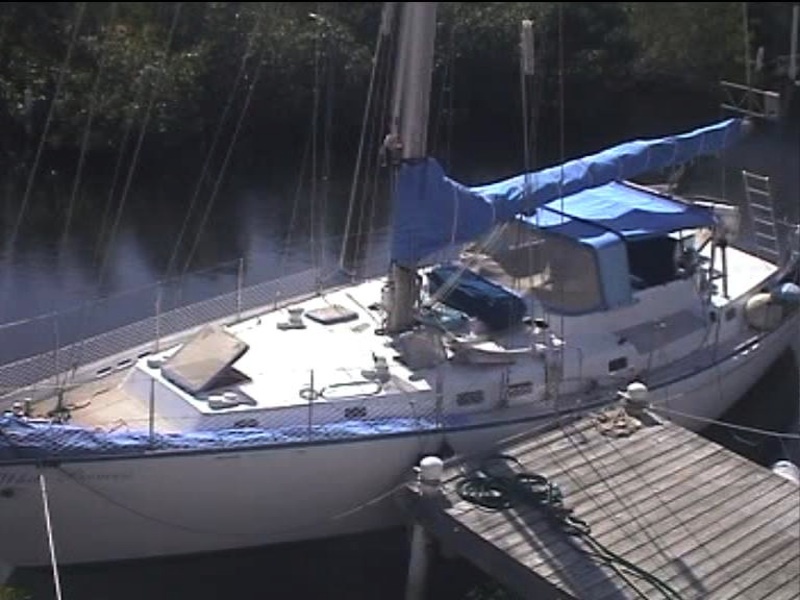 Our Renegade 37 can be seen at our yard (by appointment please). 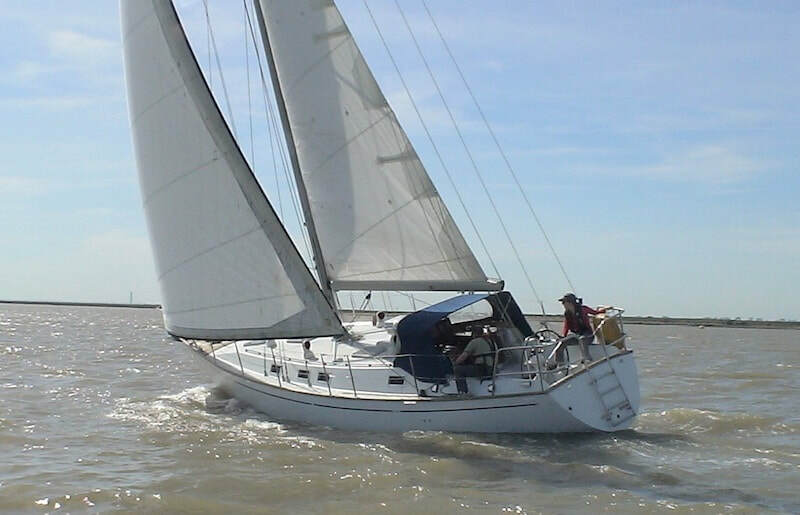 We have recently uprated her with teak effect decks, autopilot and chart plotter and electric genoa winches.At present she can be seen on her cradle and her fine underwater lines can be appreciated. She is now for sale and virtually unused. 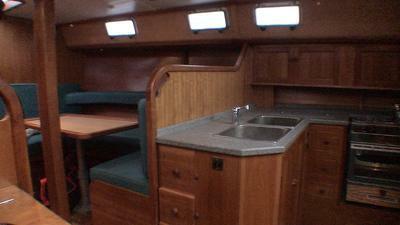 She is a comfortable 4 berth with 7 berths maximum. 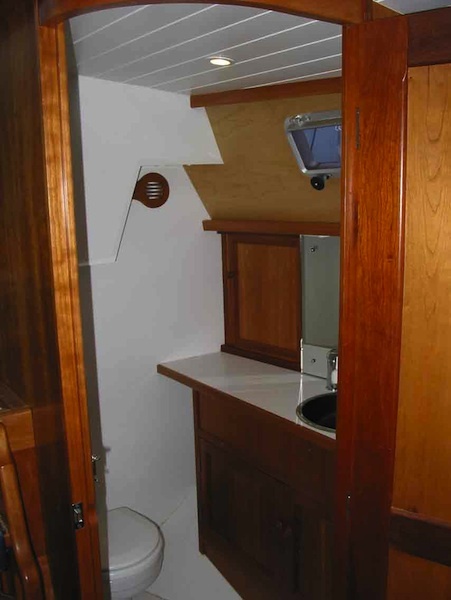 There are two heads and one shower. 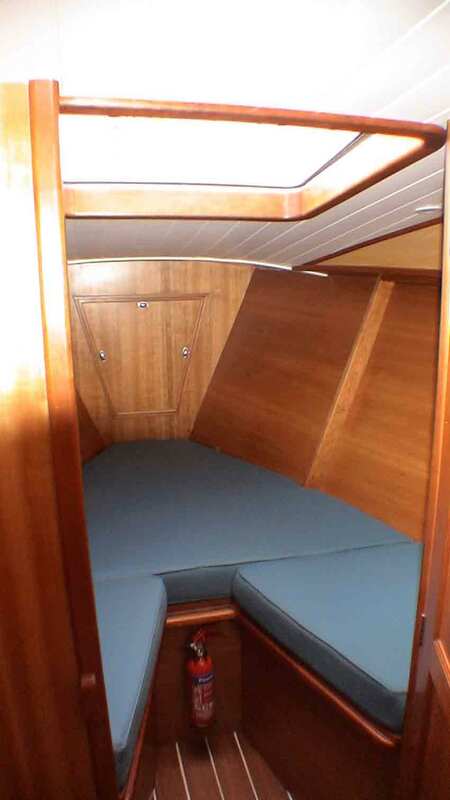 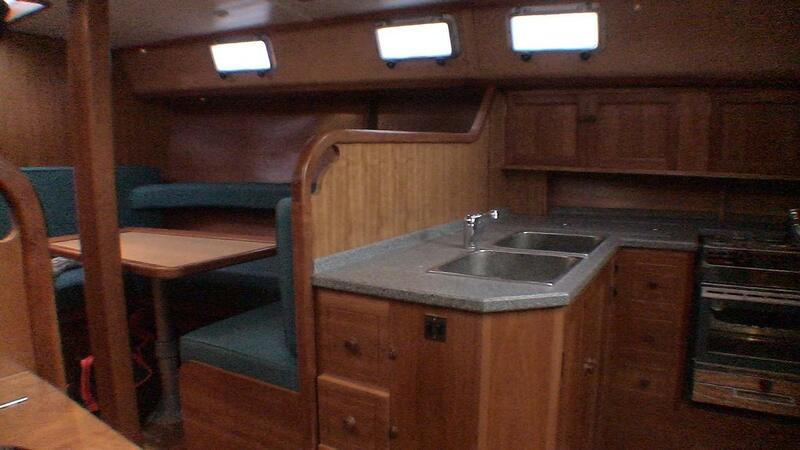 Good sized single berths (converting to double) in the bow cabin. 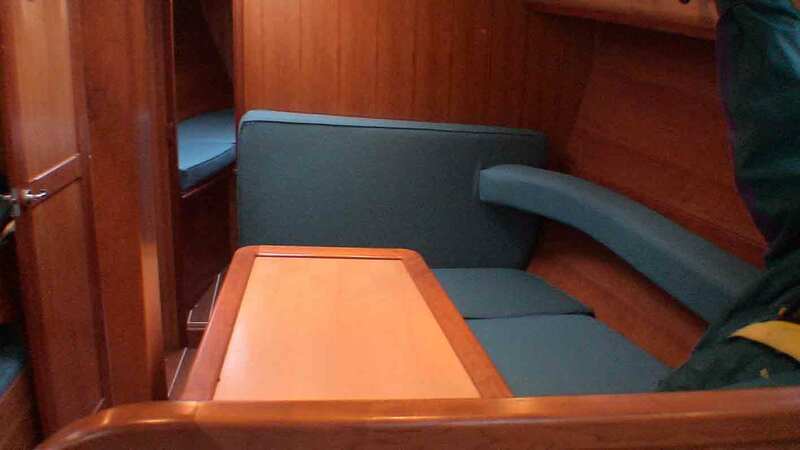 Midships there is roomy and comfortable U shaped dinette which fold into a double, with a pilot berth opposite, also folding into a narrow double if required. 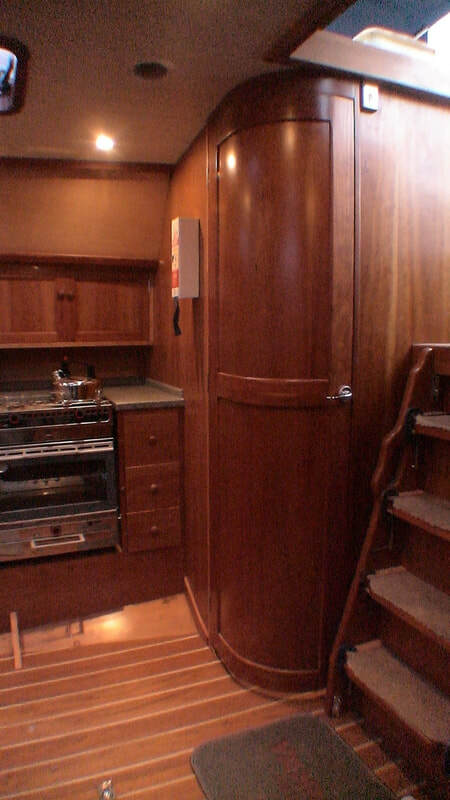 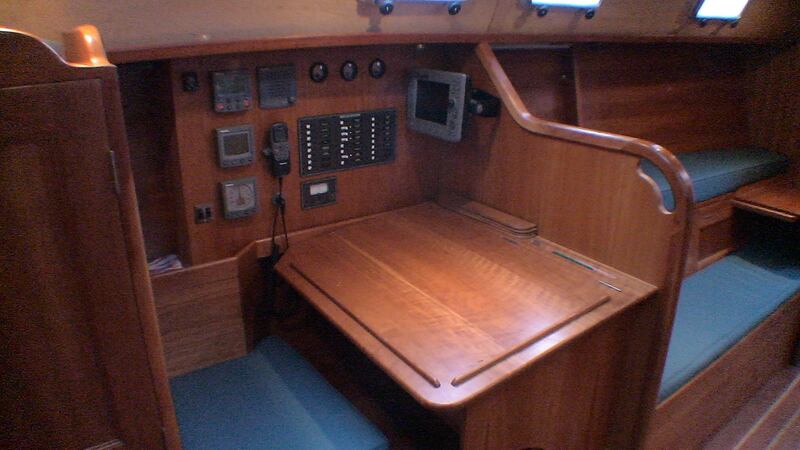 A roomy chart table and main bathroom to the stern one side and the galley and aft double cabin opposite. 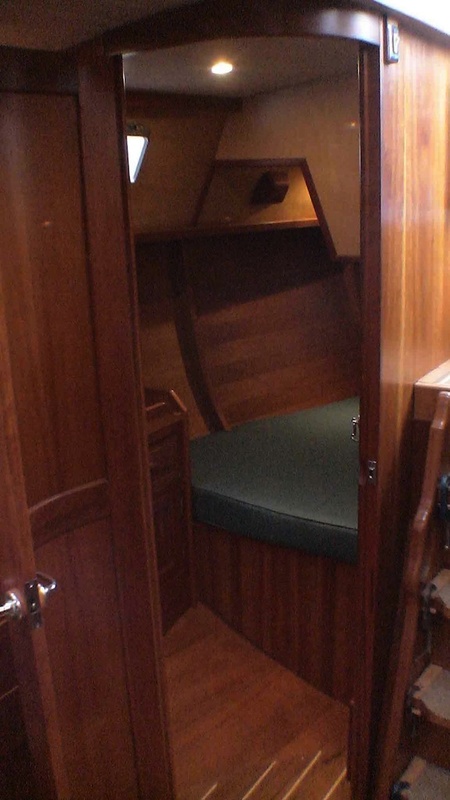 The cockpit is roomy, safe and comfortable Well insulated and tastefully fitted in cherry hardwood and cherry veneered ply with multiple coats of varnish. 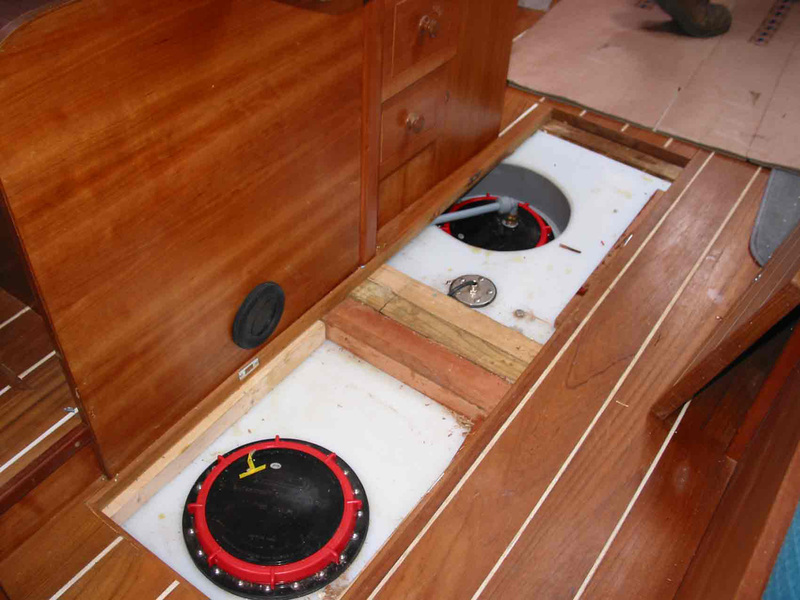 Great care is taken to make access to the on-board fittings and equipment which is most important. Please contact us to arrange a viewing at our yard. The Renegade and Mistral range of fast cruising yachts are capable of serious world wide cruising, but are equally happy cruising nearer home. 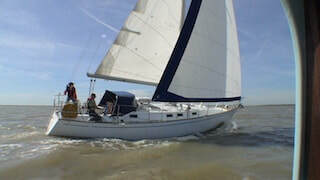 Please scroll down to the bottom of the page for the photo gallery, followed by the Renegade 37 video. 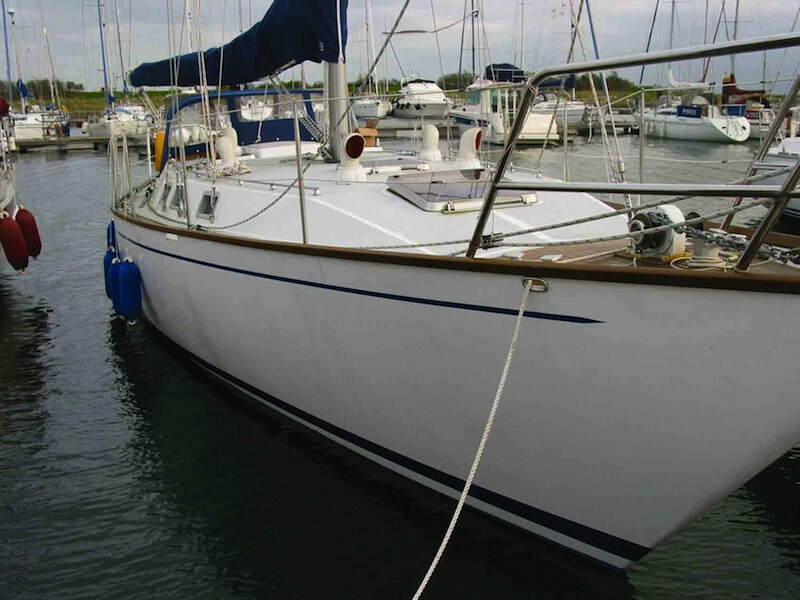 We have an unused Renegade 37 for sale now.